Black XS for Her (Eau de Toilette) is a perfume by Paco Rabanne for women and was released in 2007. The scent is sweet-fruity. It is being marketed by Puig. 90% Cocoa Chocolate plus Chili Peppers plus Cranberries plus Rose--Unique! 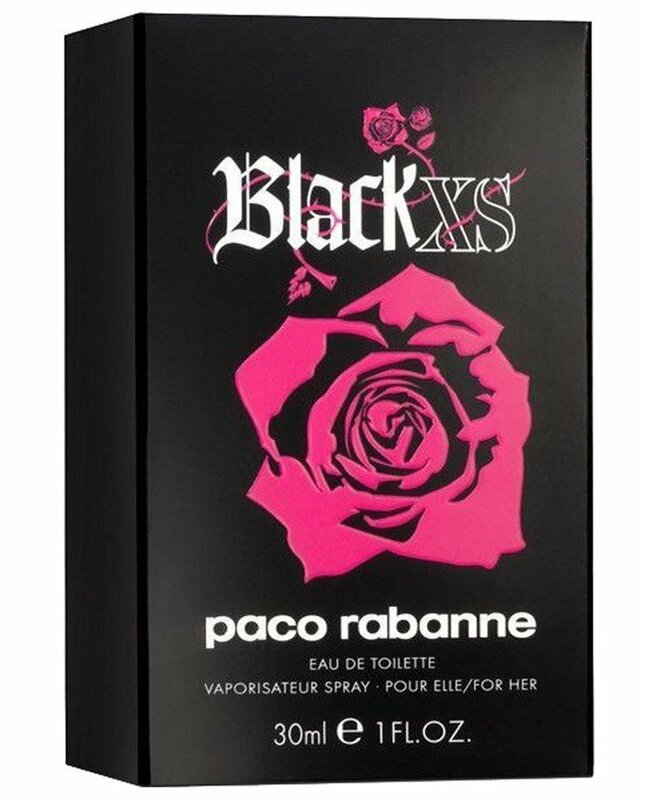 Although the sweet patchouli of Paco Rabanne BLACK XS is so pronounced that this could almost be an ANGEL flanker, the other notes meld together ultimately to produce a 90% cocoa dark chocolate bar into which a few chili peppers, dried cranberries and rose petals have been interspersed. The violets and wood have melted completely into the chocolate and cannot be identified by my nose as individual notes. Patchouli absolutely predominates, but the cocoa becomes more detectable in the drydown, making this fragrance a new twist on the vanilla patchouli theme. I enjoyed wearing BLACK XS a lot, so perhaps by I have succumbed to what is clearly a cultural trend. Did thick, chewy, vanilla patchouli frags exist before ANGEL? Well, happily, this "ANGEL flanker" avoids the excesses of its notorious predecessor! Write the first Review for Black XS for Her (Eau de Toilette)!